After working with many professional tradespeople over the years we’ve come to see that building things like homes and landscapes requires the same thinking, and follows very similar processes, as building a brand. Many tradespeople miss this. They’re often a bit squeamish when it comes to marketing in general and their brands suffer for it. Any landscaping or renovation project begins with a vision – a clear picture of the desired final product. In marketing it’s no different. Having a defined vision of the results you hope to achieve is essential. You wouldn’t expect to just see what comes of a few unrelated promos any more than you would throw a few two-by-fours in the air and hope they land as the Taj Mahal. No self-respecting builder so much as puts a shovel in the ground without a solid plan and accompanying blueprints. 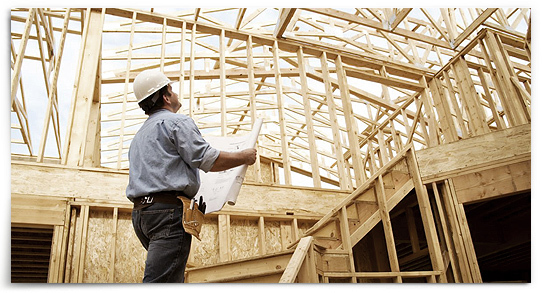 Regardless of the complexity of a construction project, the builder specifies the work, estimates the time and materials and schedules the milestones. In marketing this is called a marketing plan. It outlines the strategy, lists the goals and objectives, identifies the audience(s), spells out the message(s) and specifies the channels and the frequency of communication. Only then does the work begin. The tradesperson uses his hard-earned skills to create: meticulous measurements, precise cuts, and a commitment to serve the customer in the best way possible. The marketing professional uses his or her wit, creativity and craftsmanship to help brands get noticed, make a connection, engage the customer, build trust and persuade them into action. If you are a builder, landscaper, renovator or professional tradesperson looking to improve your brand’s exposure or generate more leads don’t make do with one-off, disjointed marketing efforts based on where the latest buzz seems to be. Without a definitive plan, or worse, without a clear vision to guide your choices, this simply will not yield results. Instead, look to your own planning skills and the principles you already use to build great things. Then work with a like-minded marketing firm to help build your brand. Approach your construction marketing like any other building project and you’ll see how much more effective marketing can really be.